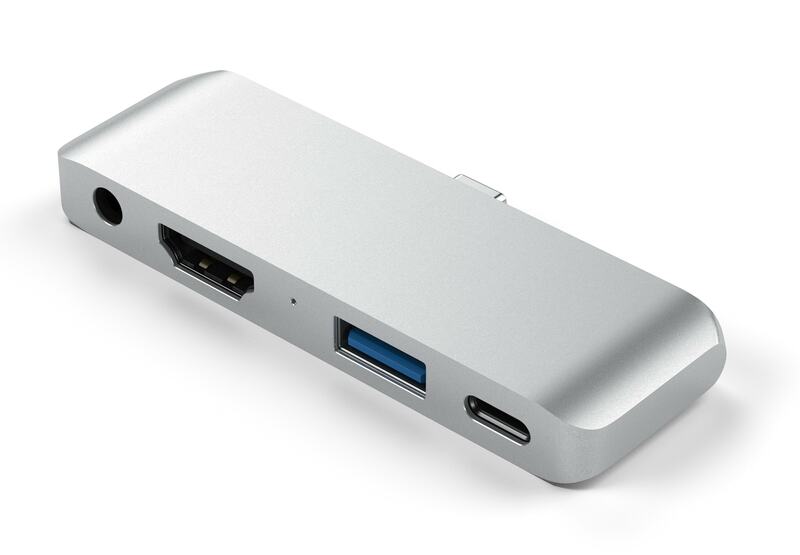 Satechi’s iPad Pro USB-C hub has four commonly-used ports. 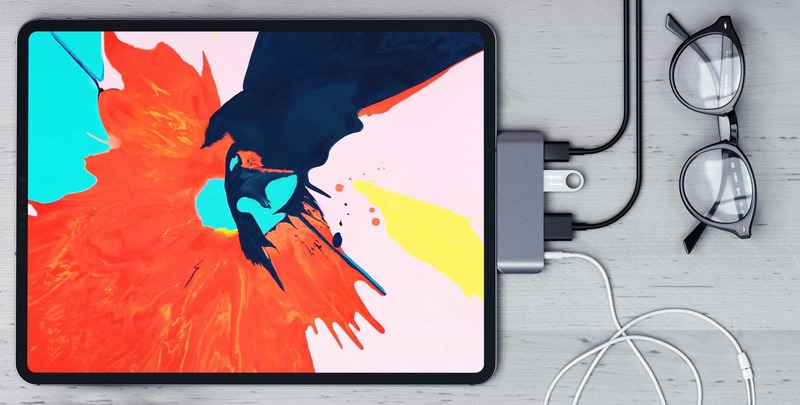 Satechi just unveiled a USB-C hub designed specifically for the new iPad Pro. It sits flush with the side of the tablet and includes ports for video, headphones, and more. AdvertisementIt doesn’t go overboard with ports though, and the casing on this upcoming accessory is aluminum for extra durability. The 2018 iPad Pro is the first iOS device with a USB-C port. Out of the box, the tablet supports a range of common accessories. Expect companies to join Satechi in a wave of hubs designed for this computer. Hyper was first out of the gate with its version earlier this week. It also clips to the side of the iPad, but is bigger and offers some additional ports. The Satechi Type-C Mobile Pro Hub includes a port for 4K HDMI (30Hz), very useful for watching Netflix on a large-screen TV. This iPad Pro USB-C hub has headphone, video, USB-A, and USB-C ports. There’s also a USB-A port capable of transferring images from a camera, iPhone or thumbdrive at up to 5 GB/s. Or a wired keyboard can be plugged in here. The 2018 iPad Pro is the first iOS tablet without a headphone jack, but there’s a 3.5mm one in this add-on. Possibly the most important feature in any iPad hub is a USB-C port so this single-port computer can still receive power while accessories are attached. Satechi’s supports USB-C PD 3.0 at up to 18W. The peripheral-maker promises its Type-C Mobile Pro Hub will debut in mid-December. Pre-orders on the Satechi website are currently going at $44.99, but the regular price will be $59.99. It’s available in silver or space grey to match the tablet.